Level detection plays an important role in the food and beverage industry, both in production and filling. Depending on the application, there are completely different requirements for level detection and, therefore, different requirements for the technologies and sensors to solve each task. In general, we can differentiate between two requirements — Do I want to continuously monitor my filling level so that I can make a statement about the current level at any time? Or do I want to know if my filling level has reached the minimum or maximum? 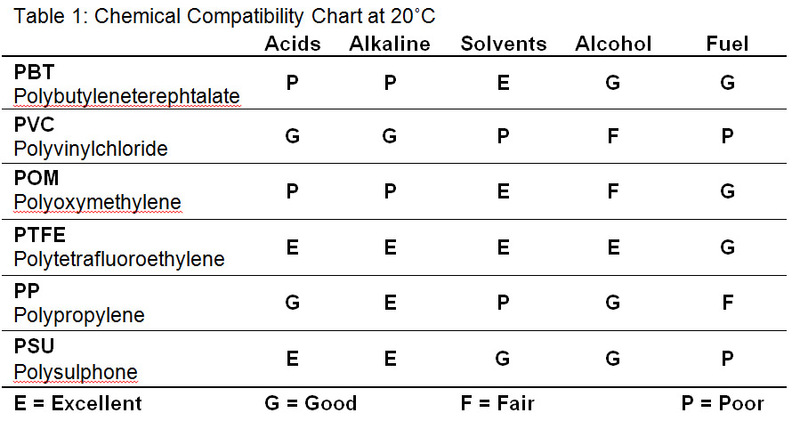 Let’s look at both requirements and the appropriate level sensors and technologies in detail. For point level detection we have three different options. 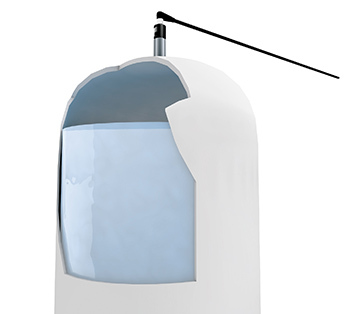 A through-beam fork sensor on the outside of the tank is well suited for transparent container walls and very special requirements. Very accurate and easy to install, it is a good choice for critical filling processes while also being suitable for foaming materials. For standard applications and non-metallic tank walls, capacitive sensors, which can be mounted outside the tank, are often the best choice. These sensors work by detecting the change of the relative electric permittivity. The measurement does not take place in direct contact with the medium. For applications with metal tanks, there are capacitive sensors, which can be mounted inside the tank. 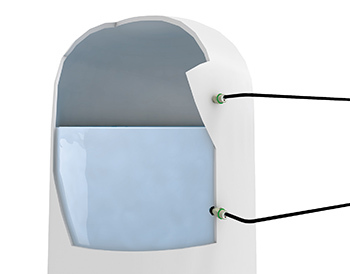 Sensors, which meet the special requirements for cleanability (EHEDG, IP69K) and food contact material (FCM) required in the food industry, are mounted via a thread and a sealing element inside the tank. For conductive media such as ketchup, specially developed level sensors can be used which ignore the adhesion to the active sensor surface. Multiple technologies can be used for continuous level sensing as well. Choosing the best one depends on the application and the task. 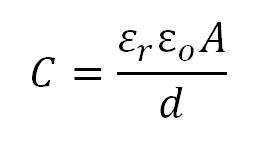 Continuous level detection can also be solved with the capacitive principle. 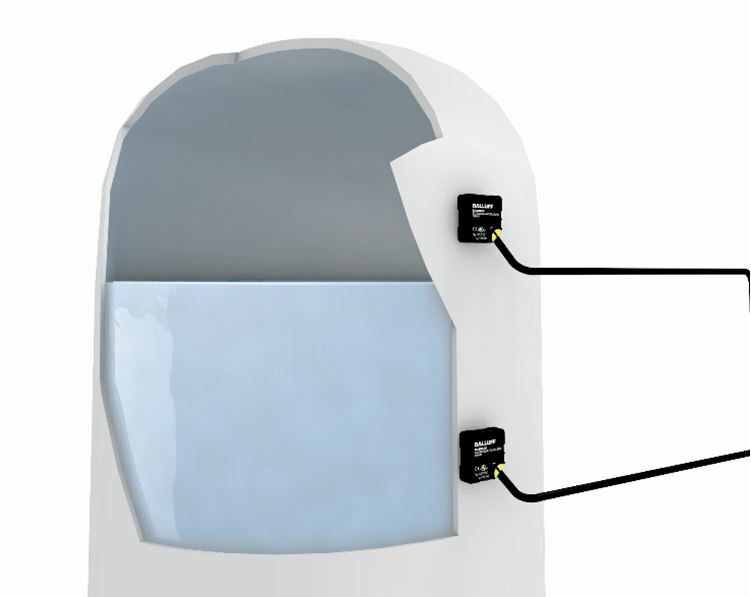 With the aid of a capacitive adhesive sensor, the level can be measured from the outside of the tank without any contact with the sensor. The sensor can be easily attached to the tank without the use of additional accessories. This works best for tanks up to 850 mm. If you have fast and precise filling processes, the magnetostrictive sensing principle is the right choice. It offers very high measuring rate and accuracy. It can be used for tank heights from 200 mm up to several meters. 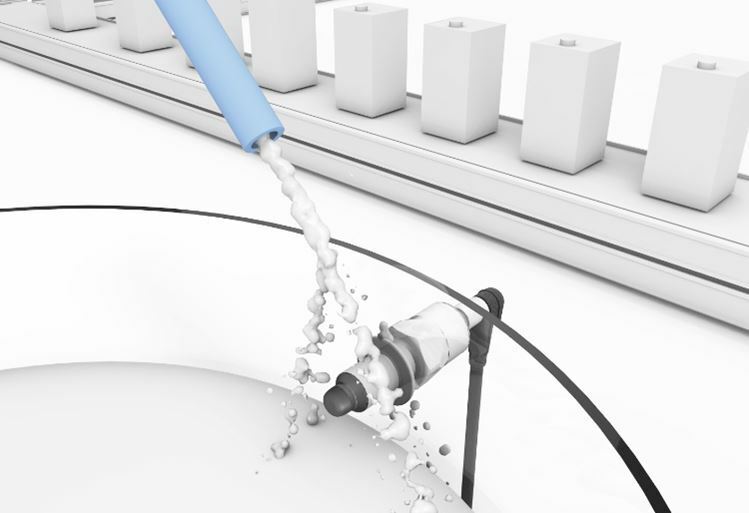 Made especially for the food and beverage industry, the sensor has the Ecolab, 3A and FDA certifications. Thanks to corrosion-free stainless steel, the sensor is safe for sterilization (SIP) and cleaning (CIP) in place. 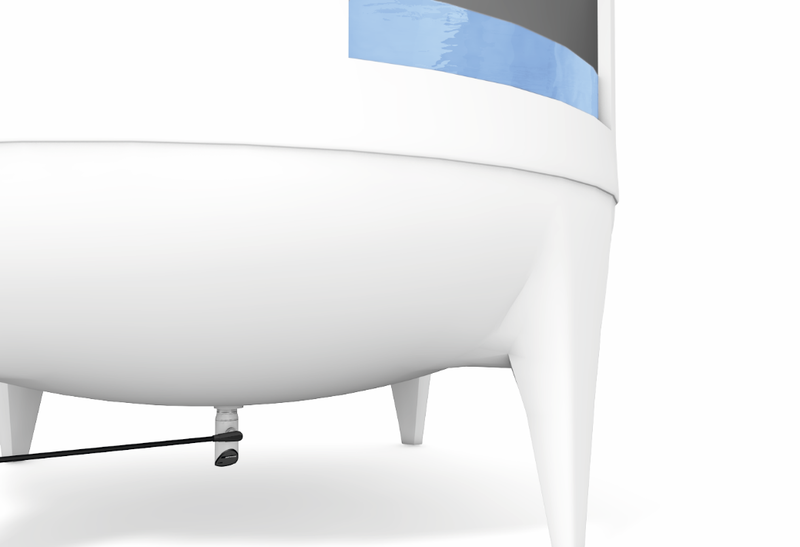 If the level must be continuously monitored from outside the tank, hydrostatic pressure sensors are suitable. 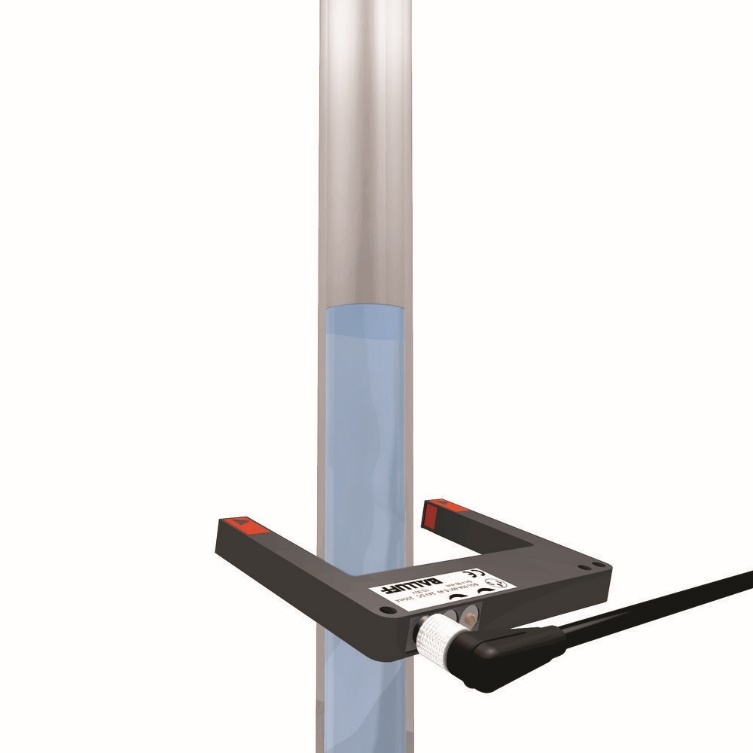 Available with a triclamp flange for hygienic demands, the sensor is mounted at the bottom of the tank and the level is indirectly measured through the pressure of the liquid column above the sensor. Level detection through ultrasonic sensors is also perfect for the hygienic demands in the food industry. 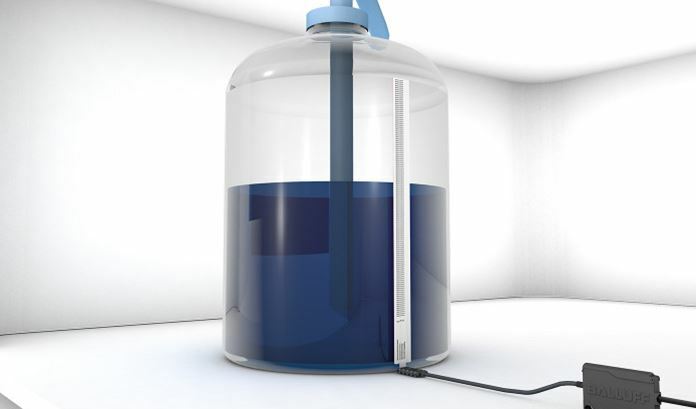 Ultrasonic sensors do not need a float, are non-contact and wear-free, and installation at the top of the tank is easy. Additionally, they are insensitive to dust and chemicals. 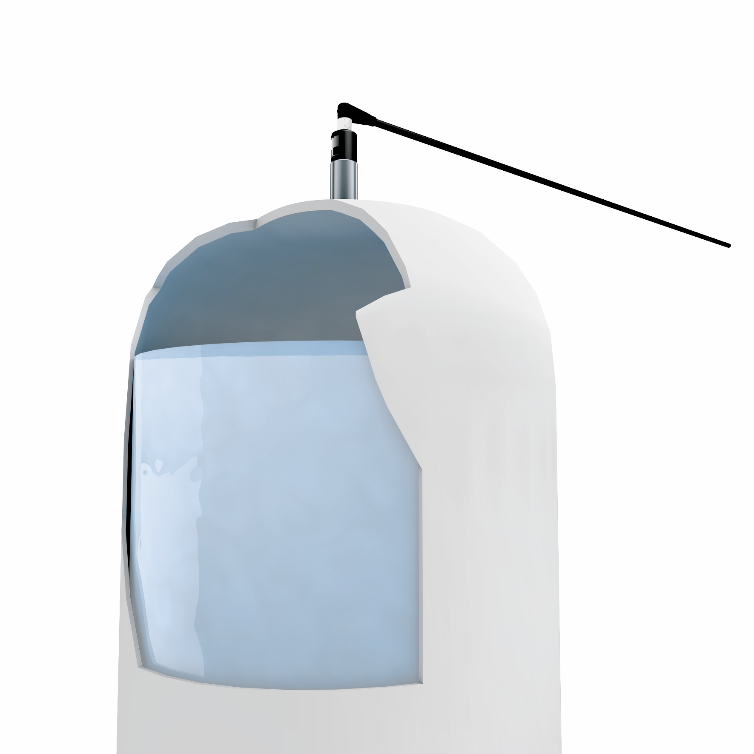 There are even sensors available which can be used in pressurized tanks up to 6 bar. On occasion, both types of level monitoring are required. Take this example. The tanks in which a liquid is stored at a food manufacturer are made of stainless steel. This means the workers are not able to recognize whether the tanks are full or empty, meaning they can’t tell when the tanks need to be refilled to avoid production downtime. The solution is an IO-Link system which consists of different filling sensors and a light to visualize the filling level. 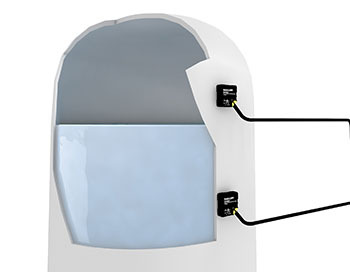 With the help of a pressure sensor attached to the bottom of the tanks, the level is continuously monitored. This is visualized by a machine light so that the employee can see how full the tank is when passing by. 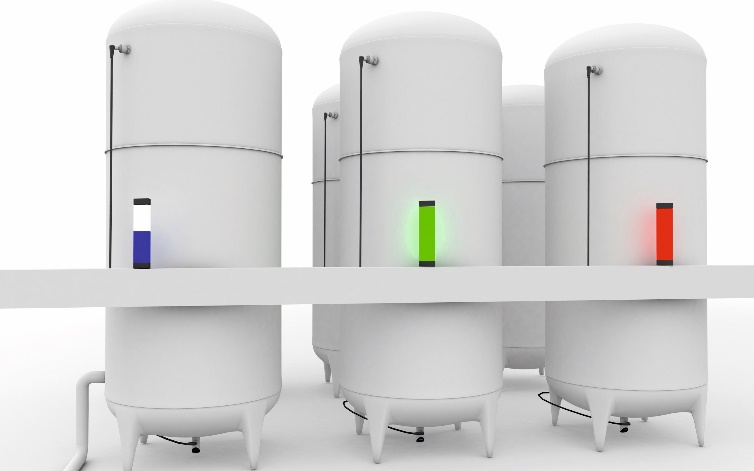 The lights indicate when the tank needs to be refilled, while a capacitive sensor indicates when the tank is full eliminating overfilling and material waste. 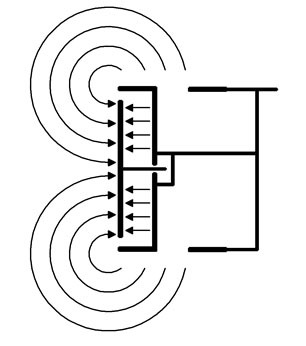 Similar to inductive sensors, capacitive sensors are available in two basic versions. The first type is the flush or shielded or embeddable version however with capacitive sensors they are sometimes referred to as object detection sensors. The second type is the non-flush or non-shielded or non-embeddable version however again with capacitive sensors they are sometimes referred to as level detection sensors. The flush or object detection capacitive sensors are shielded and employ a straight line electrostatic field. This focused field is emitted only from the front face of the sensor allowing the sensor to be mounted in material so that only the face of the sensor is visible. The highly focused electrostatic field is perfect for detecting small amounts of material or material with low dielectric constant. The typical range of a flush 18mm capacitive sensor is approximately 2 to 8mm depending on the objects dielectric constant. As with any capacitive sensor the sensor should be adjusted after installation. 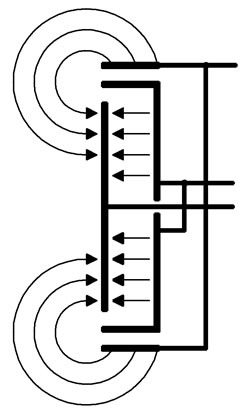 If the sensors are mounted adjacent to each other the minimum gap should be equal to the diameter or the adjusted sensing distance whichever is less. These sensors can also be mounted opposing each other however the distance should four times the diameter of the adjusted sensing distance whichever is less. Shielded or flush capacitive sensors are perfect for detecting solids or liquids through non-metallic container walls up to 4mm thick. If you are detecting liquid levels through a sight glass with the sight glass mounting bracket then the flush mounted sensor is the preferred choice. 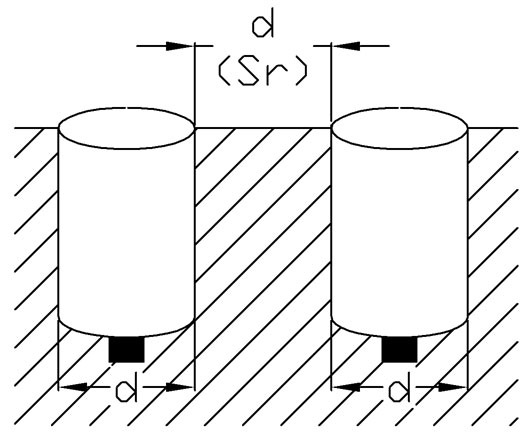 The non-flush or level detection capacitive sensors are not shielded and employ a spherical electrostatic field. This field is emitted from the front face of the sensor and wraps around to the sides of the sensor head. Unlike the flush sensor this version cannot be mounted in material where only the face of the sensor is visible. Non-flush sensors have better characteristics and better performance in applications with adhering media. The spherical electrostatic field provides a larger active surface and is perfect for detecting bulk material and liquid either directly or indirectly. 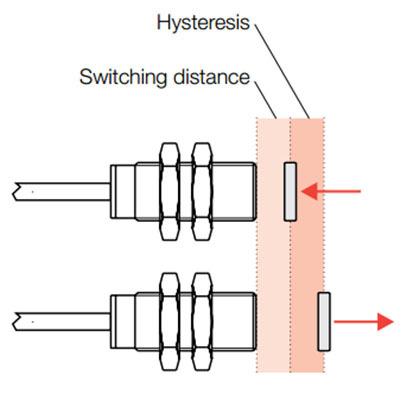 The typical range of a flush 18mm capacitive sensor is approximately 2 to 15mm depending on the objects dielectric constant. As with any capacitive sensor the sensor should be adjusted after installation. 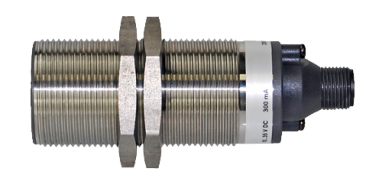 If the sensors are mounted adjacent to each other the minimum gap should be equal to three times the diameter or the adjusted sensing distance whichever is less. These sensors can also be mounted opposing each other however the distance should four times the diameter of the adjusted sensing distance whichever is less. Capacitive sensors are perfect for short range detection of virtually any object regardless of color, texture, and material. To learn more about capacitive sensors visit www.balluff.com. Certainly the main focus in machine tools is on metal cutting or metal forming processes. To achieve optimum results in cutting processes coolants and lubricants are applied. In both metal cutting and metal forming processes hydraulic equipment is used (as hydraulics create high forces in compact designs). For coolant, lubricant and hydraulic tanks the usage of level sensors to monitor the tank level of these liquids is required. 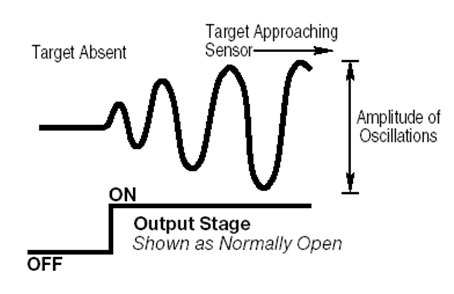 For point level sensing (switching output) in many cases capacitive sensors are used. These sensors detect the change of the relative electric permittivity (typically a change of factor 10 from gas to liquid). The capacitive sensors may be mounted at the outside of the tank wall if the tank material is non metallic like e.g. plastic or glass. The installation may even be in retrofit applications yet limited to non metallic tanks up to a certain wall thickness. 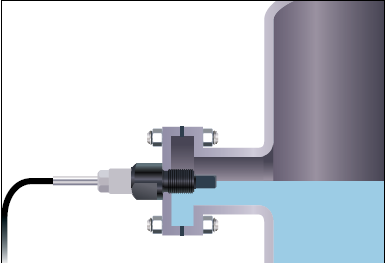 When using metal tanks the capacitive sensors enter the inner area of the tank via a thread and a sealing component. 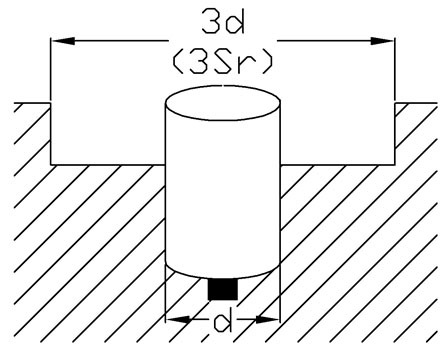 Common thread sizes are: M12x1, M18x1, M30x1,5, G 1/4″, NPT 1/4″ etc. For conductive liquids specially designed capacitive level sensors may be used which ignore build up at the sensing surface. 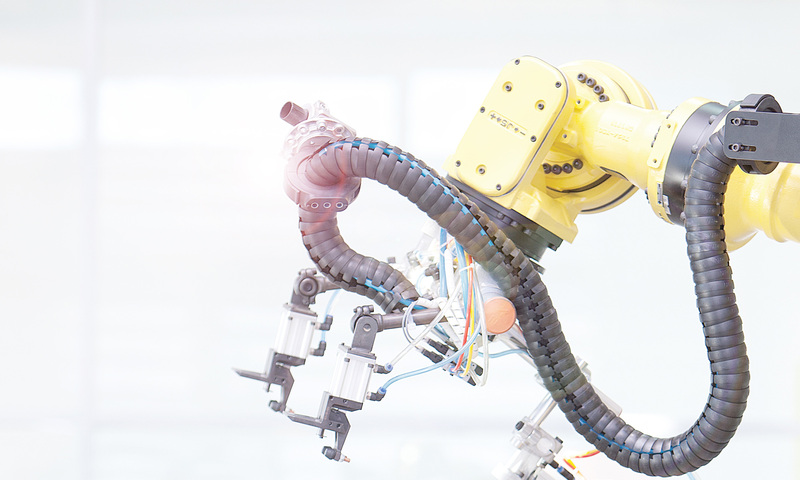 Advanced process control uses continuous level sensing principles. The continuous sensor signals e.g. 0..10V, 4…20mA or increasingly IO-Link deliver more information to better control the liquid level, especially relevant in dynamic or precise applications. In many applications the requirements for the level control solutions are not too demanding. In these cases the ultrasonic principle has gained significant market share within the last years. 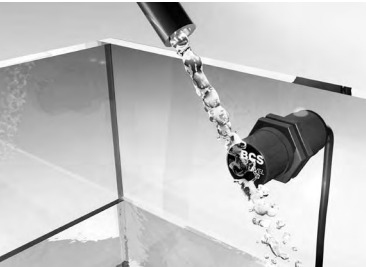 Ultrasonic sensors do not need a float, installation on the top of the tank is pretty easy, there are even sensor types available which may be used in pressurized tanks (typically up to 6 bar). As ultrasonic sensors quite often are used in special applications, field tests during the design in process are recommended. 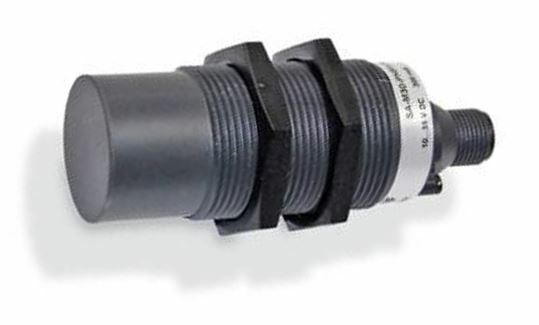 Finally hydrostatic pressure transducers are an option for level sensing when using non pressurized tanks (typically connected to ambient pressure through a bore in the upper area of the tank). 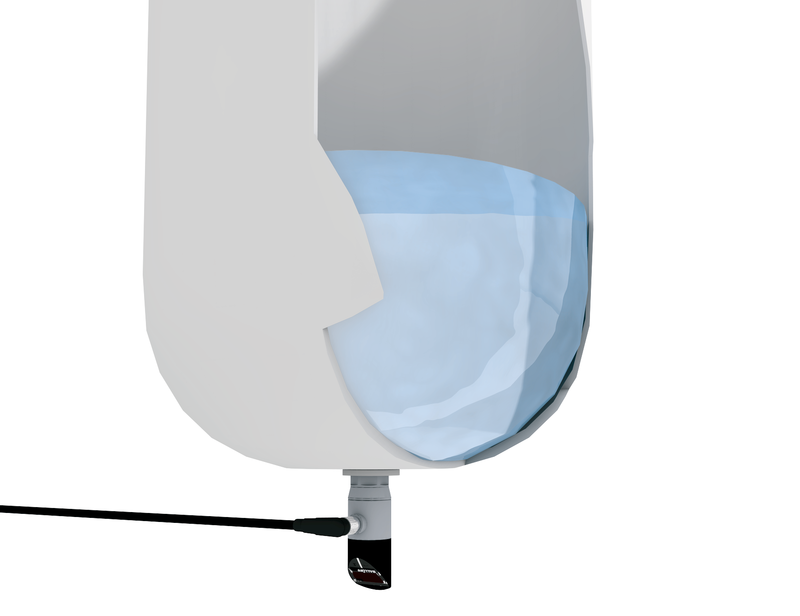 With the sensor mounted at the bottom of the tank the level is indirectly measured through the pressure of the liquid column above the sensor (e.g. 10m of water level resembles 1 bar). Concerning level sensing in metalworking applications in the first step it should be decided whether point level sensing is sufficient or continuous level sensing is required. Having chosen continuous level sensing there are several sensor principles available (selection depending on the application needs and features of the liquids and tank properties). It is always a good engineering practice to prove the preselected sensing concept with field tests.